The need for swift and trouble-free installation of telecom equipment has lead to the development of our customer-oriented telecom modules. 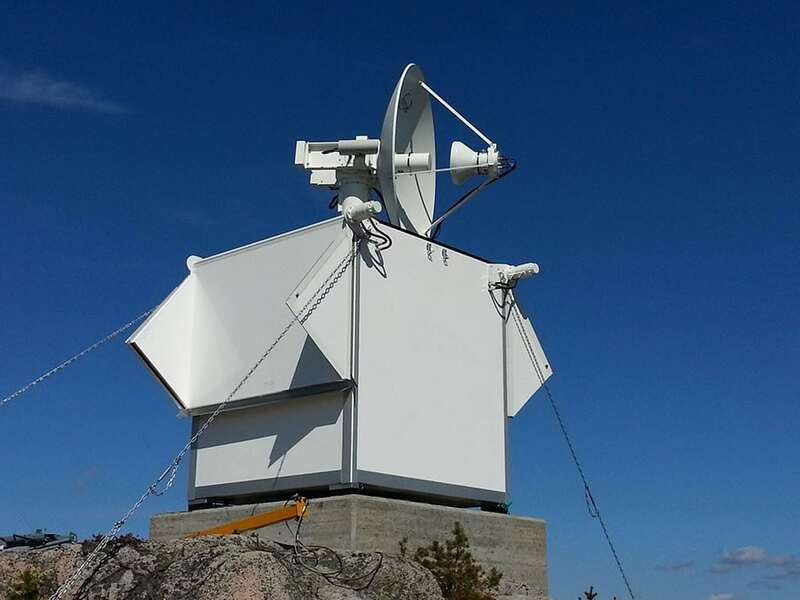 They can be used for almost any type of telecom equipment, in all parts of the world and in any climate. Every telecom module is customized to the specific needs of each customer concerning the type and configuration of the equipment. 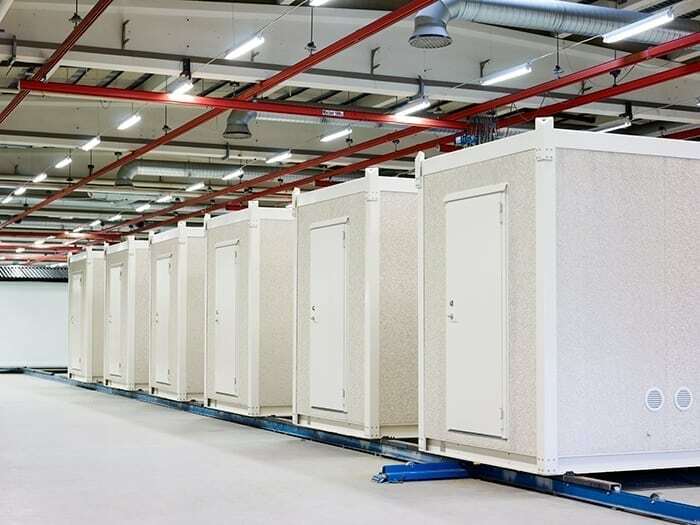 Since 1987 we have delivered more than 1,000 different types of shelters for telecom use. Our modules have been developed to perform reliably over long periods of time with minimum maintenance. Telecom equipment is subject to stringent requirements at the design stage, and it is essential to have telecom modules that meet the same demanding standards. 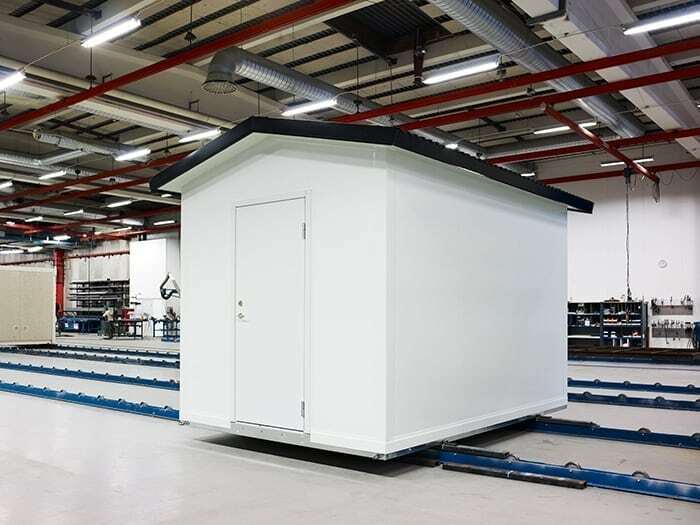 In many cases our modules are built on steel chassis with floor, walls and roof built using sandwich construction. The facade of our modules can be covered by any type of material – steel, aluminum, natural stone, glass fiber, wood, etc. – to blend into specific environments. Doors and windows can be fitted in any position, and it is even possible to provide an architectural design for especially sensitive surroundings. 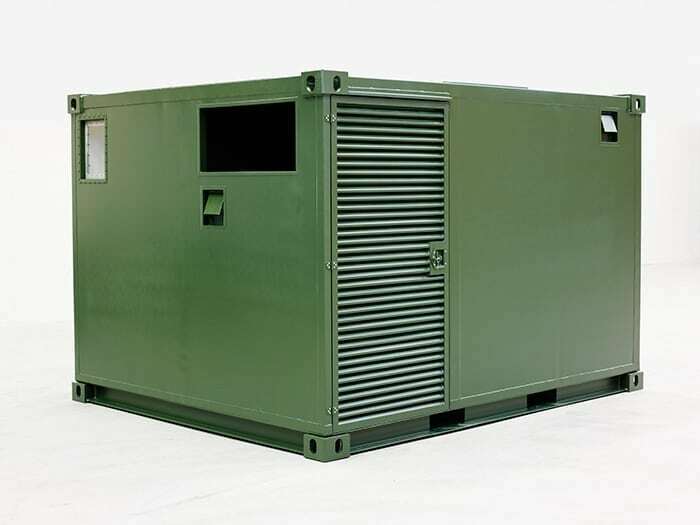 Our solutions can be supplied in many different sizes, often based on ISO container standards, which makes for easy transportation by air, train, sea, helicopter or truck. 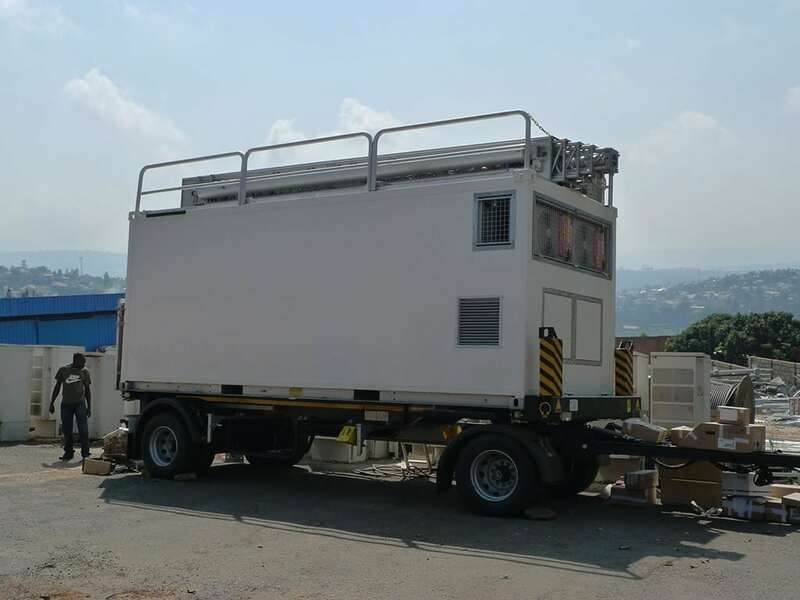 Normally all equipment is preinstalled and pretested, and the housing is delivered for turnkey installation. If necessary it can also be delivered flat-packed, with seven main components and an assembly-kit for local installation and assembly. This unique unit enables the operator to use three frequencies simultaneously to cover a larger area. 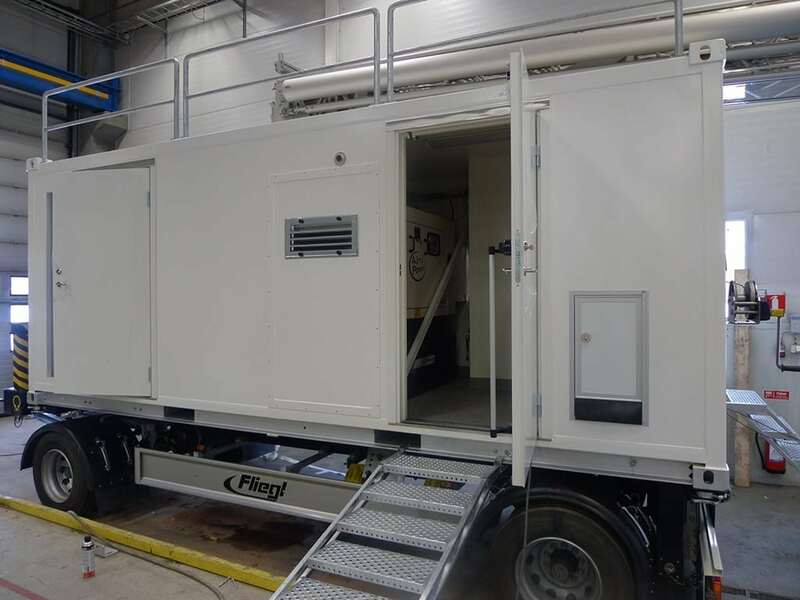 It is the perfect solution for temporary enhancements of the general network capacity in connection with major events or catastrophic situations such as natural disasters. 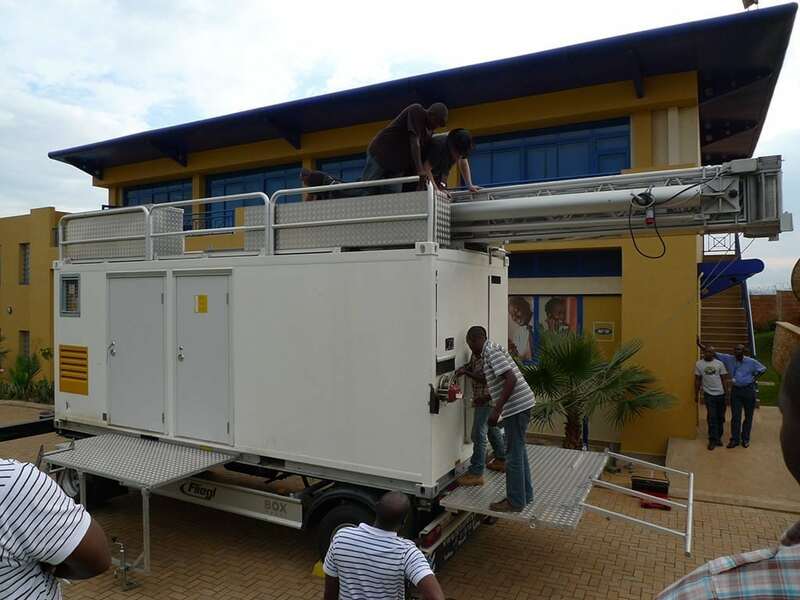 This high-quality unit is very compact, yet powerful and well equipped. We construct it in cooperation with some of our most experienced partners. 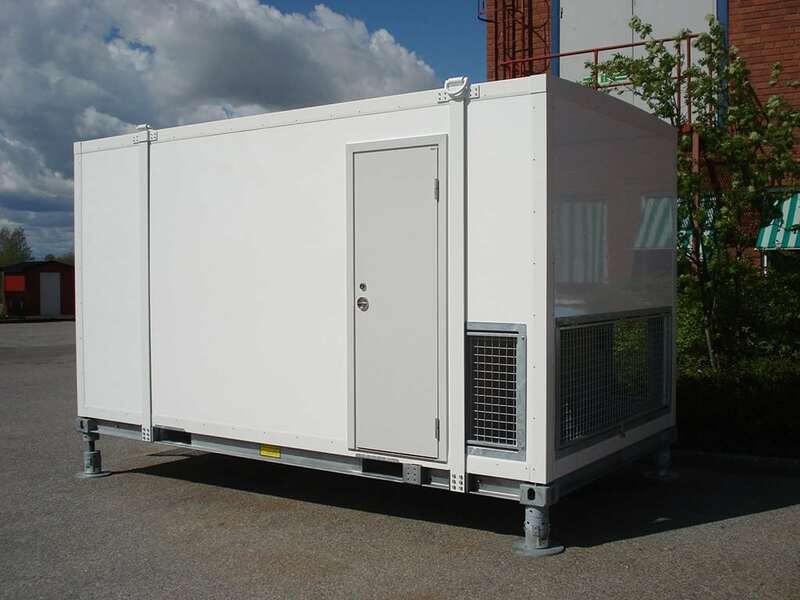 The mobile mast shelter is delivered complete with all accessories according to your specifications. Are you looking for information about our tech buildings?